Discussion in 'Current Affair and Siasi Debate' started by fawad, Apr 14, 2014. We do appreciate any effort that could solve a Long pending energy crises in Pakistan, US aid came too late and they waited too long to put their Part character in such a vulnerable crises in the history of Pakistan. In reality , above steps are ""gimmicky"" seems like US department is Bragging about it, infect it should have been addressed Long ago, USA and rest of the world strategically and purposely waited for that Long. You know why, Friendship should be faithful without any enigmatic hidden agenda, But I believe that the world was waiting for Pakistan to fall into a deep ditch ! 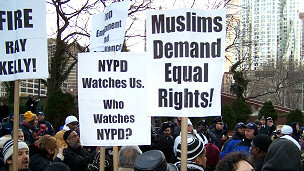 They want us to fight against a hidden enemy disguised within the demographic existence of Pakistan, they want us to risk the civilian safety and security at any cost but fight with cold blooded, headless enemy who they themselves couldn't control, anyways thing is that , finally USA realised what we needed LONG AGO to over come poverty, illiterate, bigotry , deviance, And in-equality in our society. There is a long story behind this. US is promoting there culture in Pakistan. Dont listen to these fools they cant even go to Kuwait or even be looked as regular people in the Middle eastern "arab" countries. Keep on doing the good work as long as it helps the people of Pakistan. We do appreciate Americans for Public welfare projects. However, I am talking about mutual Relationship Pre-2000, Clinton Era was one of the best, USA had balanced foreign policies, there were No barriers in-front of any embassy in Pakistan, we used to go to US high commission without invitation, looking for University and their admission requirement. We used to sit there and wished to be in US for higher studies or work, I watched many movies at US consulate, they used to offer free movie watch facility for young people . Majority of Pakistani wished to be in USA, for work, education and visit. Pakistani loved American stuff, they still do, however,There wasn't any Talban or Al-qaeeda, Terrorist or Mullahism factor attached with Pakistan or Muslims. Table turned post 9 11, USA leaned towards India and Israel, Actually they sat down in their Laps, their Policy was to stink all current and previous relationship with Pakistan, Pakistani Public and rest of Islamic countries, USA policy maker declared a war against Muslims, for a worst Terrorist attack on 9 11 in which many Pakistanis and even Muslims Died, interestingly None of among 11 Terrorist were a single Pakistani, they were all terrorists Not Muslim Terrorists, But What happened, every policy, every law, every effort was against Muslims only, Billions of Muslims were humiliated, disgraced, Demeaned, for some unknown 11 terrorist, Americans Media instigate International Media, the entire world turned against Muslims, Every country start screening Muslims only, Muslims were Maligned and disparaged at every airports, Universities, and even a small social crime started to associate with Great Religion of Islam, But who did that all? USA, Yeah USA policy maker who were sat in the laps of INDIA AND ISRAEL, USA didn't use their head at that time, that it was Muslims who actually backed USA on every step till USA REACHED at the position of Super Power, all Muslims countries never be unfaithful with USA, But USA couldn't make an impression that they are faithful and staunch Friend of Muslim world. Now USA have been defeated by some bunch of warriors in Afghanistan, on the other hand USA has lost economy fueled by Arab rich world, and rich Muslims around the world, they took their assets off and left USA, Because everyone thought that USA became a shoulder to ISEAL AND INDIAN's grudges and enmity against Muslims, may USA thought that Indian sneaky investors and Israel cheap Jews will hold their economy and country?? NO, Because They don't know that Indian are too nationalist and Jews are too unfaithful and unreliable. Long story short , USA has lost their Position and confidence among Muslim world, Now whatever they are doing after damage has been done that crack is always be there, Sooner or later, Policy maker will repent and curse their post 9 11 policies against Muslims only, Anyways keep on doing good work Americans cuz you have to do a lot to re-gain the pre 9 11 position in Muslim world, Remember that You have maligned and disparaged Muslims but Billions of Muslims are still rising and shinning. Remember terrorists have no religion, they are animals, no religion covers them, anyways, We (MUSLIMS) ARE OPEN BIG HEARTED PEOPLE AND COULD FORGIVE AND FORGET WHATEVER HAS HAPPENED TO US ONLY IF YOU WOULD LIKE TO SHOW FAITHFULNESS AND COMMITMENT!GOT IT, Thanks and have good one !! تم 'امریکہ' کا نام نہ لو، کیا 'امریکی' سودائی ہیں! As usual, You have Linked Khalid Sheikh Muhammad with Pakistan, Infect you have not explained Khalid Sheikh Muhammad Linked and deep rooted relationship to USA, and ARAB world as well, I can still assure that people you are mentioning here that they are Pakistanis and on which the whole Great nation of Pakistan is being Judged and treated unfairly for the last 12 years, 180 Millions Pakistanis are all friendly career oriented enlightened people. They know the civilization and its important. However, 180 Million people were attached by USA media to 2 Million Biased/Fundamentalist Group, We were treated Like that and attached to Minority Cult group, LET ME ASK YOU IS IT FAIR?? ?, IS IT FAIR THAT IF I ATTACHED THE "ADAM LANGA" to whole American nation or vice versa? Adam Langa killed 27 Kids, Was he True American? Now the second part is , as I mentioned earlier that Pakistan is still dealing with American hysteria Cold war Era, USA became super power by defeating its counter Part in Afghanistan with the help of ""Mujahideen"" who employed by some ARAB ""wahabi"" mentality, as soon as USA won they pack their bags and left every weapon and warriors on our door step, with 12 Millions Refuge inside Pakistan, these Afghanis took Pakistani nationality and became Pakistani, infect they are not Pakistanis, they travelled to the world on Pakistani Passports and all mentioned above people who captured or kill in Pakistan are those who hired by ""Mujahideen"" but later became the part of Terrorist organisations Like "" Al-qaeeda "" Now you are trying to link those so called Pakistani to Pakistan's ideology?? Shame on you, Now let me tell you the whole history of Khalid sheikh Muhammad, He is also the production of USA 's Muslim Hate Policies Influenced or fueled by ""ISRAEL AMD INDIA"", I will discuss the rest later, let Read who is Khalid sheikh Muhammad, where his terrorist mentality came from, Why when, weher, and How he started, without just mentioning Pakistan's name lets mention How and why??? Khalid Sheikh Mohammed was born on 14 April 1965 (or 1 March 1964) in Balochistan, Pakistan. However, BBC News and others have reported his place of birth as Kuwait City, Kuwait It is believed that he belongs to the Baloch ethnic group and is fluent in Arabic, English, Urdu and Balochi Khalid Mohammad grew up and spent his formative years in Kuwait, as did his nephew Ramzi Yousef (three years his junior and the son of Mohammed's older sister).According to U.S. federal documents, in 1982 he had heard Abdul Rasul Sayyaf's speech in which a call for jihad against the Soviets was declared.At age sixteen, he joined the Muslim Brotherhood. After graduating from high school in 1983, Mohammad travelled to the United States and enrolled in Chowan College in Murfreesboro, North Carolina. He later transferred to North Carolina Agricultural and Technical State University and received a (BSc) in mechanical engineering in 1986. The following year he went to Peshawar, Pakistan,where he and his brothers, including Zahed, joined the mujahideen forces. He attended the Sada training camp run by Sheikh Abdallah Azzam, and after that he worked for the magazine al-Bunyan al-Marsous, produced by Sayyaf's rebel group. In 1992, he received a master's degree in Islamic Culture and History from Punjab University in Pakistan.By 1993, Mohammad had married and moved his family to QATAR, where he took a position as project engineer with the Qatari Ministry of Electricity and Water. He began to travel to different countries from that time onward. The United States 9/11 Commission Report notes that, "By his own account, KSM's animus toward the United States stemmed not from his experiences there as a student, but rather from his violent disagreement with U.S. foreign policy favoring Israel. "However, on August 29, 2009, The Washington Post reported from US intelligence sources that Mohammed's time in the U.S. contributed to his becoming a terrorist. "KSM's limited and negative experience in the United States — which included a brief jail stay because of unpaid bills — almost certainly helped propel him on his path to becoming a terrorist," according to this intelligence summary. "He stated that his contact with Americans, while minimal, confirmed his view that the United States was a debauched and racist country. NOW YOU GOT IT WHO WAS KSM, AND WHY HE DID, IT ABOVE ALL REPORTS ARE PUBLISHED IN USA MEDIA , ITS NOT MY POINT OF VIEW, BUT BEHIND THE KSM 'S TERRORIST ORGANIZATION, USA AND ARAB MENTALITY IS VERY OBVIOUS AND CLEAR IN HIS ACTION, PLEASE OWN SOME RESPONSIBILITY ON YOUR SHOULDER TOO MR USA !!! Thanks for a quick response, My point is here that USA 's policy against Muslim world is very Biased, It is not carefully drafted by some Racist, it is a duty of a Super power of the world to remain unbiased and fair in their dealing, USA is responsible to Drag a Balanced positive Nation towards fundamentalism western concept of state of denial. USA policy makers portrait Pakistan as teroorist nation, Just watch movies, read the books, and articles, they stink Pakistan 's existence, they couldn't understand the concept of Islamic democracy, a nation with Engineers, doctors, Analyst, and scientist. Pakistan's youth is the most talented , positive and career oriented in the world, But the world is associating every 'chris and harry" incident with the religion, Religion doesn't teach anyone to destroy the peace of the world or to kill innocents, it is the sickness and illness of Minds who make someone a terrorists or Mass murderer !! Anyways USA knows that Pakistan has given too much in this war on terror, approximately 35000 Law and order professional people's life has gone in the line duty in Pakistan, 100s of thousands effected by Terrorism attacks in Pakistan. We have faced and dealt with bigger hearts almost 400 incidents of 911 type, but our confidence never shattered or we never attacked any other country involved in our demographics. Like you said that thousands of people who captured are not Pakistanis, they are British, Americans, Afghanis, Indians and Arabs but we never Bragg about what we done. We also facing the pain and agony and in the return the world is shutting doors on our youth. Let me ask you one thing is it helping the situation or worsening the situation?? My question is still valid, do the policy makers, Media, Government somehow involved to Drag Pakistan and rest of Islam to associated with some Bunch of Sick minded individual who actually one way or the other way result of being treated unfairly by the west. In between these two forces what the heck the Real 180 Millions Pakistanis were wrong, and why we all suffered the punishment for some Bigot Mullah who Hate American's Racist policy and Love some Arab 's hypocrisy ! !